New Delhi: With less than a month to go for Lok Sabha election 2019, the Bharatiya Janata Party (BJP) is all set to intensify it’s “Main Bhi Chowkidar” campaign. 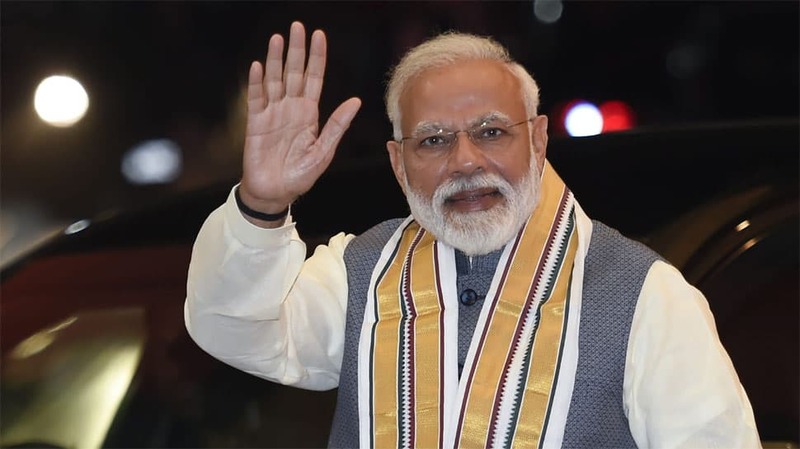 Prime Minister Narendra Modi will address over 25 lakh ‘chowkidars‘ (watchmen and security personnel) across the country via audio bridge technology on Wednesday, a day before Holi. The party launched its ‘Main Bhi Chowkidar‘ campaign on Saturday with PM Modi pre-fixing `chowkidar` to his Twitter handle. Several BJP leaders including party president Amit Shah and Union ministers followed the suit and added `chowkidar` to their names on the microblogging site. The BJP also released its ‘Main Bhi Chowkidar‘ caller tune on Wednesday. Subscribers of various cellular networks will now be able to access and download the caller tune. “You may now make #MainBhiChowkidar song as your Caller Tune,” tweeted the BJP’s official handle on the microblogging platform. Union Minister Ravi Shankar Prasad on Tuesday claimed that the campaign has become a “people’s movement” with the ‘Main Bhi Chowkidar‘ hashtag being tweeted 20 lakh times and had 1680 crore impressions. “The outreach programme, which is already turning into a mass movement, is aimed at the common man of the country who silently work in the background and as such is one of the invisible pillars of the country. The address with chowkidars on March 20 is a significant step towards meeting the objectives of `antyodaya` and `sabka saath sabka vikas`,” BJP media cell convenor Anil Baluni told IANS. The Prime Minister will once again address security personnel from 500 locations via video conference on March 31.